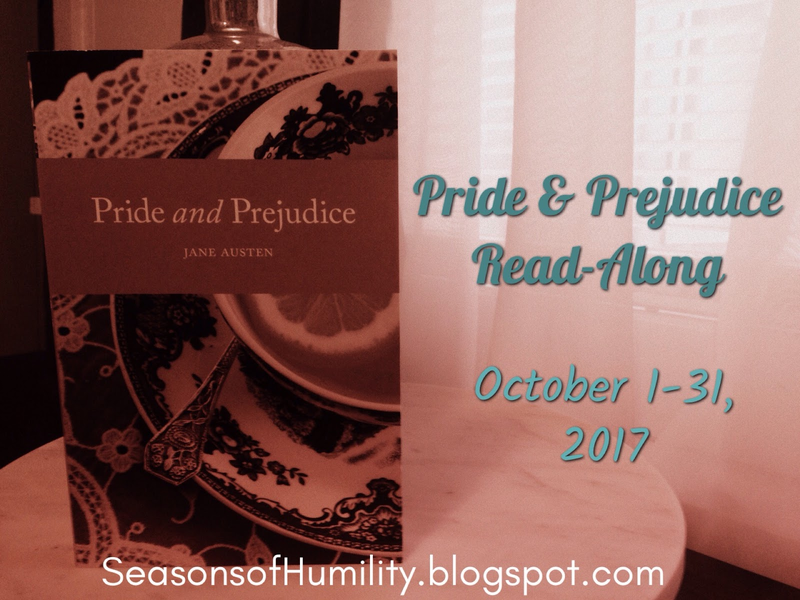 Welcome to the final discussion for the Pride & Prejudice read-along! At first she often listened with astonishment bordering on alarm at her [Lizzy's] lively, sportive manner of talking to her brother. 1. Which character's words or actions shocked you the most in this section (in a good or bad way)? How would you have responded if those words or actions somehow affected you? 2. How would you describe the main moral of the story? Is there a lesson or reminder that especially stood out to you by the end? 3. Which aspect of the final chapter made you smile the most? Friends, I think this might just be my favorite Jane Austen book now. ♥ So far I've read Persuasion, Northanger Abbey, Emma, and this one. They all have been delightful in their own ways, but there really is something about this story—the cast of characters, the twists and turns of the plot, the great dialogue, and the admirable growth—that has especially endeared it to me. It's been a pleasure reading this book with you, and I've so enjoyed your observations! I have the next Austen book in mind for a future read-along, Lord willing...and I plan to review a retelling of it in a couple weeks for a special blog tour. Stay tuned! 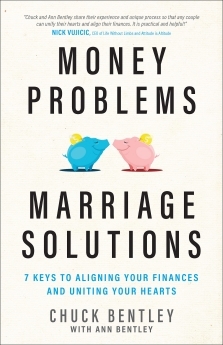 I think Money Problems, Marriage Solutions is what it claims to be. The book includes stories, a chapter of application steps, and a big-picture look at the heart of the issue behind financial struggles. It's an easy read, not too long or in-depth. I appreciate how the seven keys all come together to help you see what needs to change in your thinking, relationship, and attitude before you should focus too much on the practical side. I confess there are some things that frustrate me a bit. It would have been nice to have more depth in terms of Scripture study and providing context. And perhaps because the main author of the book is the husband—and a CEO—there are some things I don't overly relate to in his stories and approach to life. One example, in particular, bothered me. I don't think it was the author's intention, but to me it came across like he was quick and eager to accept a gift for himself but much more reluctant to accept a gift someone wanted to give his wife. Perhaps I paid way too much attention to how the juxtaposed stories were written, but it didn't sit well with me. Granted, we all struggle with selfishness, and the author does try to make it very clear that he had a long growing process before he and his wife arrived on the same page about finances. That honesty is admirable. Overall, I think this book provides some good food for financial thoughts. It's pretty straightforward and almost like an extended Crown Financial Ministries pamphlet, as the author often directs you to their resources. But it includes some helpful reminders and tips, and it gives you a good starting point for further thought and work. "Elizabeth was shocked to think that, however incapable of such coarseness of expression herself, the coarseness of the sentiment was little other than her own breast had formerly harbored and fancied liberal!" Mr. Darcy tells all in his letter, and then reveals a change in his attitude and interactions with Elizabeth when she visits Pemberley with her aunt and uncle. He displays forgiveness, care, and kindness. Elizabeth begins to realize her own prejudice and the unkindness lurking in her heart. She opens her mind to the words of those who know Darcy and Wickham best, and she shows tenderness to Georgiana by seeing behind the "proud" mask to the fear and shyness beneath. Jane is as sweet as ever, taking care of her aunt and uncle's children while they go off with her sister on vacation, and then displaying hope and love in the face of scandal and pain. Mr. Bingley is also as sweet as ever, showing through his conversation and thoughtfulness that Jane and Elizabeth have been on his mind and heart during their time apart. Miss Bingley sadly attacks Elizabeth (verbally, behind her back) and shows little to no cordiality upon their reunion. Her selfishness and pride leak through her actions and words. Mr. Wickham and Lydia have run away together, with no guarantee of marriage or commitment, and no thought of how their choice would affect others. Mr. Bennet and Mrs. Bennet both show selfish tendencies. The narrator and Elizabeth come down rather harshly on Mr. Bennet in chapter 19 (volume II) for the way he views his wife and the way he chooses to hide among his books rather than lead his family. Meanwhile, Mrs. Bennet is quick to seek folly and blame others for the consequences, thinking too much of frivolity and little of propriety. Mr. Collins...well, his letter in chapter 6 (volume III) really says it all, doesn't it? He may think he made a narrow escape, but I think Elizabeth's the one who can claim that victory. And now we just have one more week of reading to go! But there is still a lot to be resolved. Lydia and Mr. Wickham are nowhere to be found... Mr. Darcy has disappeared, and his relationship with Elizabeth is a mystery to onlookers... Jane and Mr. Bingley obviously care for each other, but are still separated... And the fate of the Bennet family hinges on a marriage. 1. Who do you think has changed the most since the beginning of the story? What are some examples of how he or she has changed for the better or for the worse? 2. What are your impressions of Pemberley (Darcy's home), including the appearance, the location, and the people who work/live there? 3. If you were a Bennet daughter and got word of Lydia's disappearance, do you think you'd respond more like Jane, Elizabeth, Mary, or Kitty? Join us next Tuesday for our final discussion! As you might already know from this post last month, I am now living in Montana with my husband, Josh. Because of this move and this new season in my life, I have returned to freelance editing! The image above shows a sampling of books I've edited. I especially enjoy working with fiction, including Christian fiction and young-adult stories. But I'm also available to hire for other genres and nonfiction projects! And due to my line of work these past three years as a content writer for a Christian book publisher, I have experience writing book descriptions and other marketing copy. So if you're in need of a writer to help you in those areas, I'd be honored to work with you. Some of you may recall that I also used to host/organize blog tours back when I was previously freelancing. Out of curiosity, is that something you'd be interested in hiring me to do? Or is that something you'd enjoy participating in as a blogger? After enduring the first World War, most of the world is hoping to pick up the pieces of their shattered lives and move forward in the year 1919. Yet for Abi Hensley, the happiness she felt upon the end of the war has been short lived. Grief stricken from the passing of a dear friend, she cannot seem to overcome the loss. Amidst her grief, she is also struggling with her writing, something that has always been a comfort to her. In light of these circumstances, she finds herself questioning many things in her life for the first time. Can Abi get back to all that she loves and look forward to things to come? 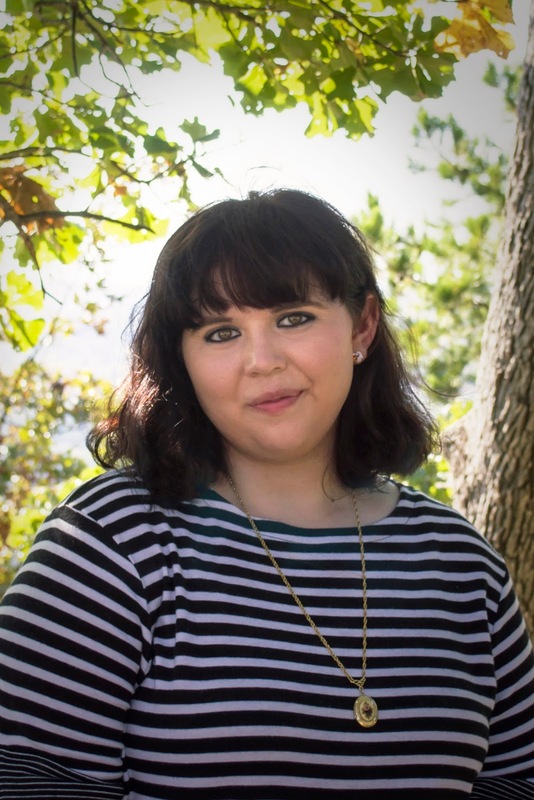 Miranda Atchley loves books of all sorts, but has always had a special place in her heart for historical fiction. Writing is her favorite thing to do, and she has published three historical novels and three contemporary young adult novels. Her novel A Castle in the Sky was a finalist for Read Free.ly’s The 50 Best Indie Books of 2016. She also writes the blog A Real Writer’s Life. When she isn’t writing, you can usually find Miranda with her head in a book, taking a walk, or watching Downton Abbey at her home in Arkansas. 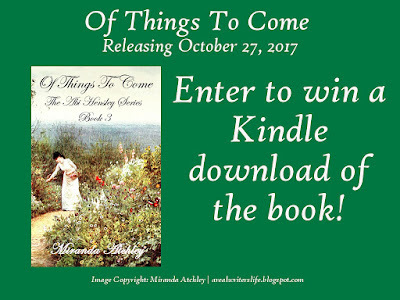 Three winners will each receive a Kindle download of the book Of Things To Come. The giveaway begins October 20 and ends October 28. The giveaway is open internationally. Must be 18 or older to enter. 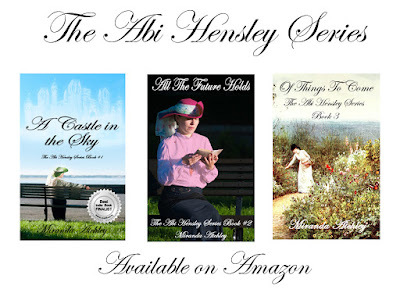 Catch up on the series by checking out the first two books! Thank you for checking out the tour! How interesting that when last we left Elizabeth, she had just turned down a proposal from Mr. Collins...and now we end this section with her turning down another proposal. But it's hard to blame her when neither of the offers are very appealing, given the information she knows and the assumptions she has made. I must admit it's rather telling that Elizabeth is so willing to forgive Mr. Wickham for seeking a more profitable match, while she holds it very much against Mr. Darcy for having concerns about making a match with her. And her conversation with Jane suggests she also cannot imagine Charlotte making a match that would benefit herself materially at the expense of mutual love and respect. I'm not quite sure what to make of all that, to be honest! I think I have to agree with Elizabeth's aunt: "Take care, Lizzy; that speech savors strongly of disappointment." By excusing Wickham and thinking of him in only a friendly manner (wishing him the best), she would certainly put distance between herself and any personal disappointment or hurt. Not that I can blame her! I feel like I understand. But it's in her lack of grace toward Charlotte (mostly just at first) and Mr. Darcy that is difficult to accept. Difficult to accept, perhaps, but also easy to understand. She's a fallible human being who wants the best for her family and friends, and isn't as eager to see her perceived enemies in a forgiving light. It makes her relatable. Elizabeth is like a fierce friend to commiserate with; whereas Jane is the one who inspires and motivates someone to grow in love and compassion. I suppose in some ways I wish Jane were more open with her feelings, but I definitely do admire her for wanting to make "allowances" (as it says at the end of chapter 1, volume II) and think the best of others. As for the other characters... Well, the group at Rosings is an odd bunch. Fitzwilliam seems nice enough. I feel sorry for Anne in some ways, but she doesn't seem eager to break free from her mother's shadow or reach out to others. I like that Elizabeth and Darcy don't encourage Lady Catherine in her rudeness. And Mr. Darcy still hasn't won me over. ;) But he's had his favorable moments! Like when he shows affection for his sister, and when he listens to Elizabeth even when he's angry and suffering. (In chapter 11, volume 2, it says at one point "he listened without attempting to interrupt her." I feel like that says a lot, especially in that context.) He's awkward and proud, but I'm looking forward to seeing more to him in future chapters. 1. 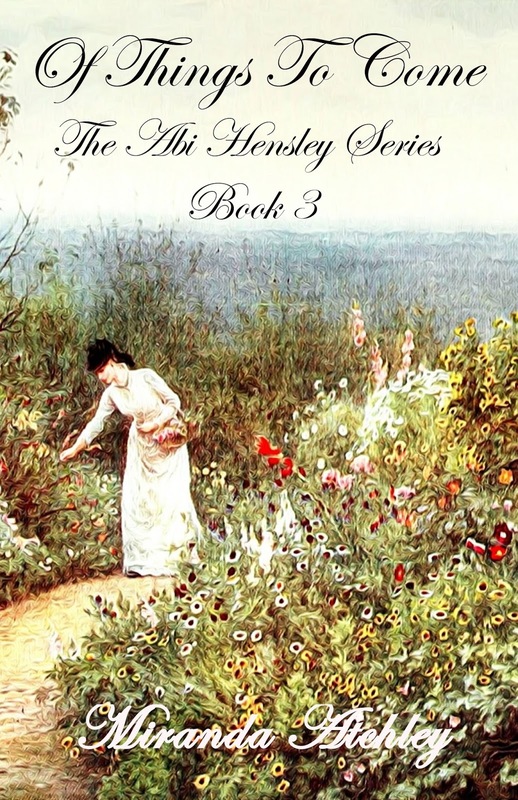 In chapter 1 of volume II Jane tells Elizabeth, "Let me take it in the best light"—referring to the situation with the Bingleys. Do you admire Jane for her way of approaching life, or do you think she's too naive? Is it better to always think positively, or are there times when it's more harmful than good? 2. Pick a character from this section of reading and imagine yourself having a conversation with him or her. How would it go? What would you talk about, and how would you respond to this person's attitude and manners? 3. How would you respond to Mr. Darcy's proposal in this section? Join us next Tuesday for our fourth discussion! We met some infamous characters in this section, including Mr. Wickham and Mr. Collins. But before I talk about them, I have to say how very much I love Mr. Bingley. He's not perfect, but his attentiveness to Jane is the sweetest. :) He defends her family; he sees to her (and their) needs; and he displays such affection in the ways he talks about Jane and how often he talks to her. Following this, I have to say I'm still delighted by the sisterly bond between Jane and Elizabeth. I think it's the best how happy Elizabeth is for Jane, and how it changes her mood and perspective simply to think about her sister's joy and prospects. I love that! It definitely makes Elizabeth a better heroine in my eyes. While Jane was in the spotlight quite a bit at the beginning, Elizabeth is now center stage...surrounded by Mr. Darcy, Mr. Wickham, and Mr. Collins. Such very different possibilities in suitors! I'm still torn about Mr. Darcy. The fact that his full story remains secret makes him mysterious but not someone I can fully sympathize with. Despite knowing what's to be revealed (at least from a movie adaptation), I think his mannerisms and slightly stoic ways still keep me from liking him a great deal. I appreciate that Elizabeth is making him smile more, and I like that his affection for her keeps his temper in check. And I know he has a vastly different personality than Bingley... But his pride certainly presents a barrier to my own affections at this point. I wonder what I would think of Mr. Wickham if I didn't already know the plot. He's charming, I'll give him that...but his eagerness to put down Mr. Darcy does him no credit, even if he were telling the truth. And while he seems to favor Elizabeth with his attention, it's hard to tell at this point if he actually has any feelings for her. One other thing I wanted to note was how I've been surprised by the context of some popular quotes. For instance, I didn't realize that Caroline Bingley was the one who said, "I declare after all there is no enjoyment like reading!" (When she very clearly has little enjoyment in it.) And instead of Elizabeth saying this line (like in the 2005 movie), it's Mr. Bennet who asks Mr. Collins, "May I ask whether these pleasing attentions proceed from the impulse of the moment, or are the result of previous study?" Interesting! 1. Which quote or scene made you laugh/smile the most? 2. Mr. Darcy is often silent: in social settings, in his feelings toward Elizabeth, and in defense of his side of Wickham's story. Do you think his silence is "golden" (a wise choice), or do you think he should have been more vocal in these chapters? 3. How would you respond to Mr. Collins if he proposed to you? Join us next Tuesday for our third discussion! Undercover missions are challenging, especially with a sinister chef and a Cheetah on deck. Agent May returns, working incognito to protect young delegates of the international Mastermind contest as they travel from Tallinn to St. Petersburg and beyond. An elite K9 Squad and Cassidy, an unforeseen Schnauzer ally, join her to fend off Falcons and skilled Russian spies... Leading to a situation she hoped never to encounter. 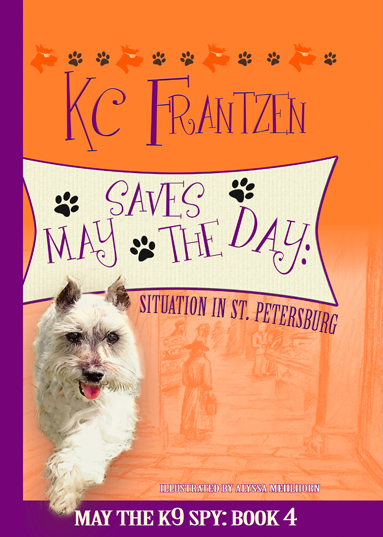 Have you met May the K9 Spy? She's a talented pup who's growing in her skills and having lots of great adventures! These books would be great to read aloud with an elementary-age child; May's point of view really stands out that way, as you hear the curiosity, enthusiasm, and energy in her tone. May is always coming up with new ideas, thinking about the case from new angles, and impulsively giving her all to track down leads. As for May's friends and foes, this book is chock-full of them! There's a Cheetah on the prowl, fellow spies (but whose side are they really on? ), the ship's crew, and kids from different countries. Those kids are incredibly smart, but they still have some important lessons to learn about working together, showing humility and compassion, and persevering in the face of hardship and disappointment. Great things for all readers to contemplate, as well! Connect with the K9 spies on Facebook! I've had this book on my shelf for a little while now, and I thought it would make a good October read. 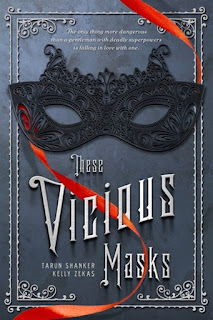 These Vicious Masks definitely has its fill of danger, creepiness, and twists! But what I also loved was the thread of humor, courtesy of the snarky heroine, the blithe Mr. Kent, and some funny secondary characters (see last paragraph of the review for a side note). All is not fun and games, though. Be prepared for drama, lots of revelations, and intense scenes and situations. While I certainly wouldn't categorize this as a "horror" story—it's much too tame for that that, evidenced by the fact I was able to read it—this young-adult novel does have a darker side to foil its lighter elements. 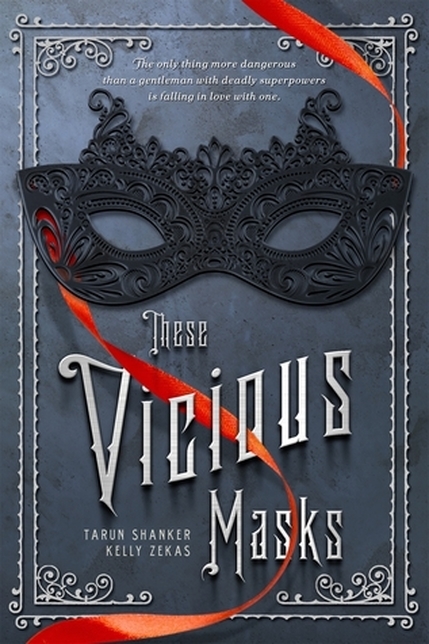 These Vicious Masks has a great cast of characters and a plot that holds your attention. And while I didn't absolutely fall in love with it all, I did appreciate the points it makes and discussion it raises about having a "gift" and being brave enough to use it for good. Characters truly have their own distinct persona between movies and books, don't they? In these first few chapters, I've really enjoyed getting to discover different sides and depths of the familiar characters in Pride & Prejudice. So far, Elizabeth hasn't stood out to me all that much. She seems rather likable, if not entirely remarkable (at least, as little as she's been described so far!). I like that she holds her own, and I especially like seeing the bond between her and Jane. It's really sweet how much she cares about Jane's happiness, and how defensive she is of Jane's introverted ways. The astonishment of the ladies was just what he wished; that of Mrs. Bennet perhaps surpassing the rest. Then there is Charlotte Lucas. She seems very jaded, but also wise to the ways of her world and what survival looks like within it. I think what she says about love needing encouragement is a good point even today. We all long for a sign that the person we love shares our feelings. Sometimes, when we have a crush, we can make up those signs. (I think I did a fair amount of this in years past!) But we still look for clues and long to know we're not alone in what we feel. It gives us the courage to reach out. 1. Which character do you most relate to at this point in the story? Whose worldview/personality most resembles yours? 2. Ponder Mr. Darcy and Elizabeth's first impressions of each other. Might the story have been very different if they had each responded differently at (and after) that first ball? 3. What do you think of the portrayals of marriage/courtship so far? Charlotte claims, "It is better to know as little as possible of the defects of the person with whom you are to pass your life." Do you agree or disagree? Join us next Tuesday for our second discussion!